Jaleo by Jose Andres is Opening this Fall at Disney Springs!<br><br>We are seeking Hosts to join our Team in their mission to Change the World through the Power of Food! <br><br>APPLY NOW or Come in to out JOB FAIR!<br><br> January 9th, 10th and 11th 10:00AM to 4PM <br><br> Wyndham Lake Buena Vista <br> 1850 Hotel Plaza Blvd - Highland Lake Conference Room<br> Lake Buena Vista, FL 32830<br><br><br>Jaleo brings alive the spirit and flavors of Spain. 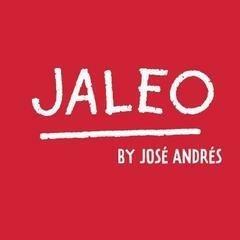 Under the direction of famed chef Jose Andres, Jaleo offers an impressive assortment of tapas, the traditional small dishes of Spain, as well as savory paellas, superb sangrias and a fine selection of Spanish wines and Sherries in a festive, casual atmosphere. Created in 1993 by Rob Wilder, Roberto Alvarez, and Jose Andres, Jaleo has become an institution in DC and throughout the country. <br><br> <br>What we would like from you: <br><br>Jumpstart the experience by greeting the guests and directing them to the proper seats. <br>Confidently control the flow of customers, take reservations and make note of any specifics that can help our team exceed our guest’s expectations. <br>A passion for continuous learning and discovery by embracing an active and innovative approach to expanding your knowledge of food, beverage and hospitality. <br> <br>What you can expect from us: <br><br>Competitive Pay with industry leading benefits <br>Access to Medical, Dental, Vision, 401k, and even insurance for your pets <br>50% off food at any of our restaurants <br>Flexible Schedules <br>Fun, Dynamic, Innovative atmosphere <br>Education Assistance/Tuition Reimbursement <br>Career Advancement opportunities <br><br><br><br>ThinkFoodGroup is an Equal Opportunity Employer and participates in the federal government E-Verify Program.